RailClamp® TVS arrays are ultra low capacitance ESD protection devices designed to protect high speed data interfaces. This series has been specifically designed to protect sensitive components which are connected to high-speed data and transmission lines from over voltage caused by ESD (electrostatic discharge), CDE (Cable Discharge Events), and EFT (electrical fast transients). RClamp®0551PQ has a maximum capacitance of only 0.50pF. This allows it to be used on circuits operating in excess of 5GHz without appreciable signal attenuation. They exceed the ESD immunity requirements of IEC 61000-4-2, Level 4. RClamp0551PQ is in a 2-pin SLP1006P2 package and is qualified to AEC-Q100, Grade 1 (-40 to +125 oC) for automotive applications. 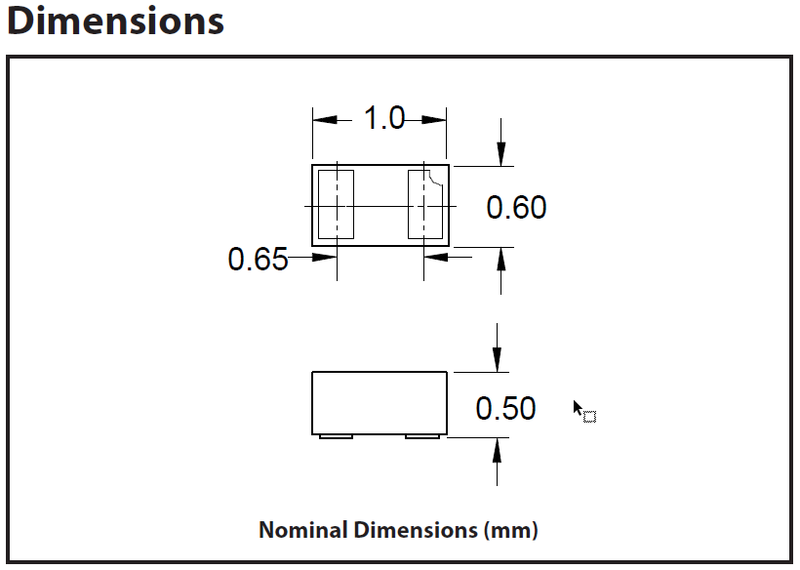 It measures 1.0 x 0.6 mm with a nominal height of only 0.5 mm. Each device will protect one high-speed line operating at 5 volts. It gives the designer the flexibility to protect single lines in applications where arrays are not practical.